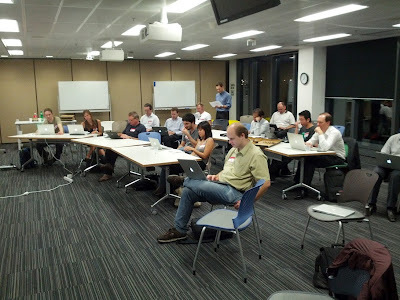 On the night of Tuesday the 20th of March, the trusty crew of the Sydney GTUG gathered at the hallowed halls of the Sydney Googleplex to learn the ins and outs of the Dart programming language. Pizza was consumed, questions were asked, Dart Editors edited, and Dart compilers compiled. For two and a half hours, everyone was head down, tails up, giving this shiny new technology a very close inspection, and at the end of the night, everyone went home happy, having learned a new thing or two about this great new programming language! 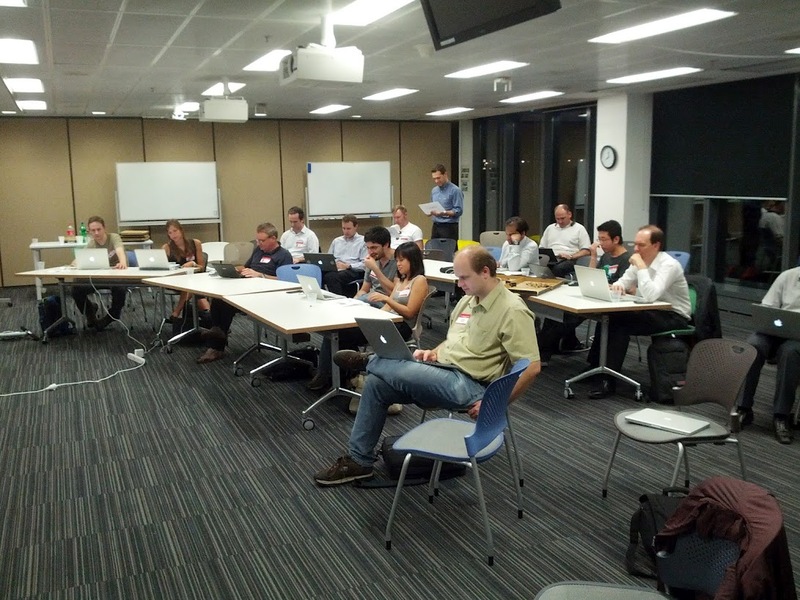 Thanks to Brett Morgan and the Syndey GTUG crew for hosting this Dart event. Want your Dart event advertised here? Drop us a line and we'll help get the word out!